Escape the winter blues and steer away from the big freeze with a tropical treat over at 32Red online casino. This top-notch gaming venue has prepared a brilliant promo deal for its customers who opt in until 30th January 2019. Just think blue lagoons, sandy beaches, sun all around, snorkelling …what’s the first thing that crosses your mind? 32Red is making it ever so easy to get in line for the trip to the Maldives. First of all, you need to visit the casino, opt-in the promo deal and play your favourite casino games in order to climb your way through to the top of the leaderboard. 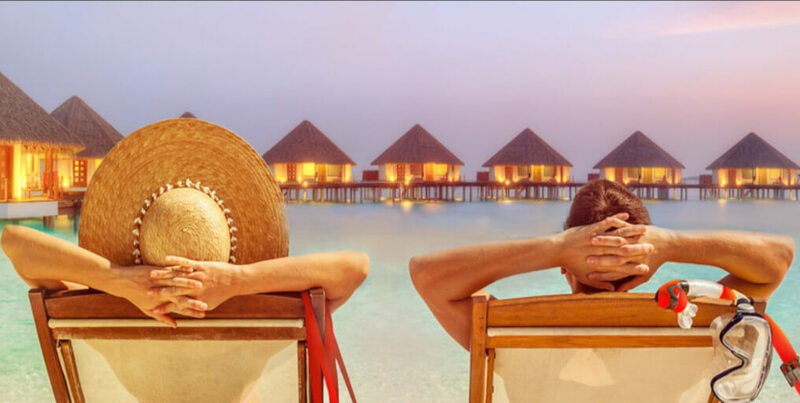 Before we proceed to explain what the Maldives package include, let us say that those of you – if there are any – who wish to pass on the opportunity to go to this paradise place can always cash in the offer. There is £10,000 in Casino Bonuses up for grabs, ranging from £5 to £2,000, while winners can exchange trip to Maldives for a cash alternative worth £3,000. Now back to Maldives, friends. The trip includes return flights for two from major UK airports and return transfers to and from the Hotel. Furthermore, you will be given a 6-night hotel accommodation accompanied by on-sight attractions of your own choice. Holiday winner will be notified by email on 31st January 2019 and will have 72 hours to accept the offer.